I just bought a front load washing machine and installed it. The plumbers in our bldg. installed the incoming water hose and the drain hose to the wall. Problem is that when the washing machine drains, the water overflows or comes out of the hole where the drain hose is inserted. Do I really need a high drainage pipe to connect my drain hose into? This is the instruction I got from the internet for my washer's brand. And here is the wall that has the drain hole in my kitchen and also my hose inserted into it. You can see how low the hole in the wall is and the bending of my hose. I tried inserting the hose as much as i could into the hole but still overflows or water comes back out and floods my kitchen. I'm going to assume that there's not a trap inside the wall, but if I'm wrong please correct me. You're going to want to build a standpipe. Start by installing a P-trap into that pipe in the wall. It's hard to tell from the picture what type of pipe it is, but you'll want to use something compatible to make the connection between pipe and trap. From the other end of the P-trap, you'll want a 2" diameter pipe going straight up 18"-42" long. You'll then put the washer drain into the top of the standpipe, as described in the manufacturer's installation instructions. 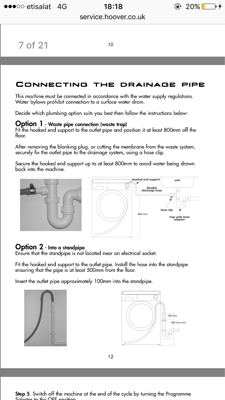 When discharging directly into a waste system without a standpipe, the connections must be "tight", as with a hose clamp to an appropriately sized tube connector, as shown in the manufacturer's instructions. 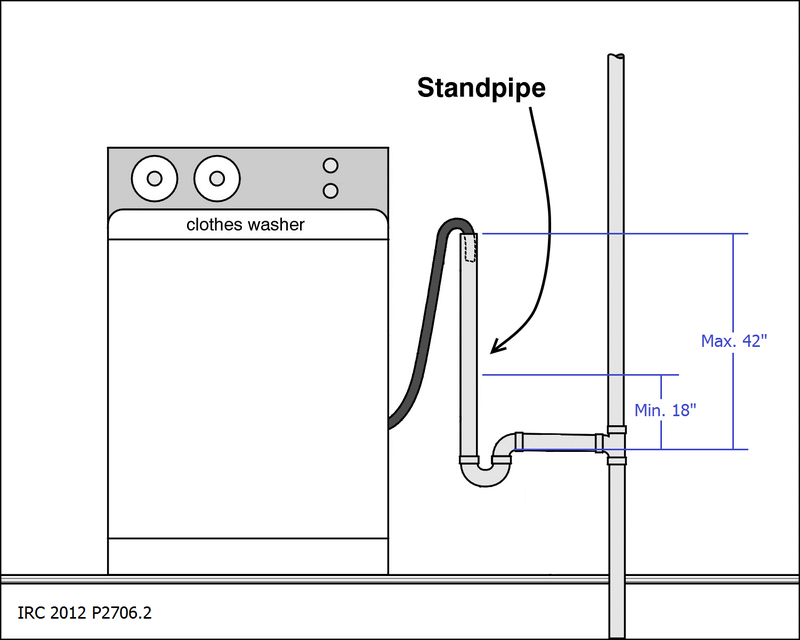 The standpipe method is better (in my opinion) when connecting to existing waste systems with unknown capacity, because the standpipe can be sized to accommodate the high volume discharge of the appliance water pump. The standpipe holds the water, allowing it to drain down into the system of dubious capacity. When building a standpipe you do not have to use the pre-made 2" units. I prefer to create one with larger diameter plastic pipe components, for more capacity. Both methods require a trap. If you have the room, you could put in a slop sink. Then the water can drain more slowly, no matter how fast the washing machine exhausts. Not the answer you're looking for? Browse other questions tagged plumbing washing-machine drainage hose overflow or ask your own question. 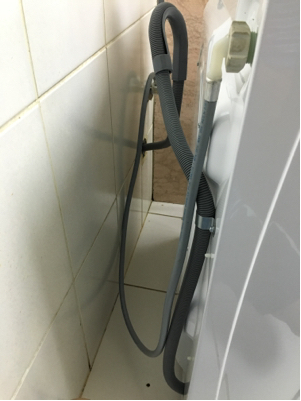 How high can I stretch my washing machine drain hose? 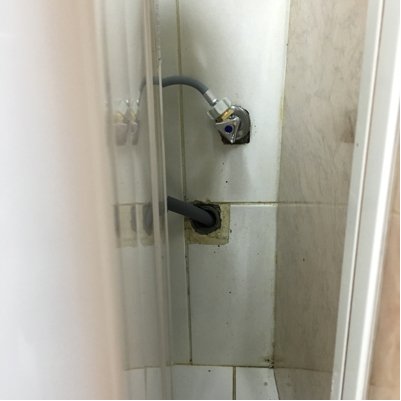 Outlet drain hose of my washing machine must go all the way to the top of the machine?